We introduce and reinforce French acquisition through specialized French instruction periods during two periods in the morning and one in aftercare. These activities will include basic language skills like learning numbers, colors, letters, simple social interactions, songs, reading, and arts and crafts. 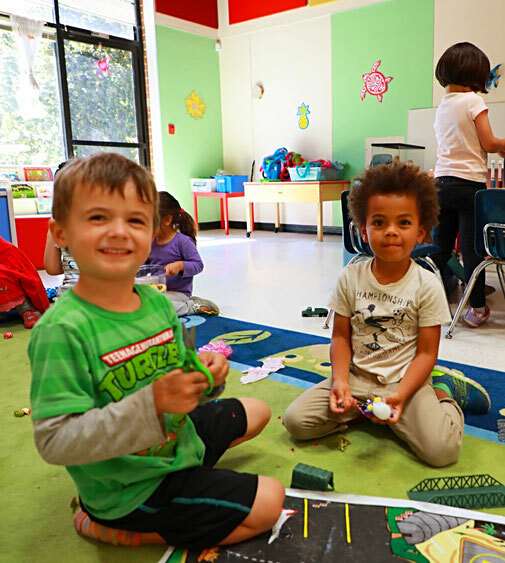 Morning care and Aftercare consist of various activities including games, free play, arts, crafts, sports, singing, dancing and stories. An additional activity conducted in French will take place during aftercare, from 4:30pm to 5:30pm. Our program also focuses on social-emotional learning and helps mini campers gain social skills through everyday interactions. In addition, each week mini-campers will be introduced to a new theme. Supervisors will plan the sessions and activities accordingly and let the children explore and learn about the theme throughout the week. What Other Skills Will My Child Learn? Mathematics: Children will study one-on-one correspondence, recognizing numbers, and counting in French. Fine Motor: using a pencil, learning how to write letters, and drawing. Art: mixing colors, cutting, gluing, and discovering forms, and textures. Sports: developing fine and gross motor skills as well as coordination through ball games. Music: new vocabulary and rhymes through French songs. 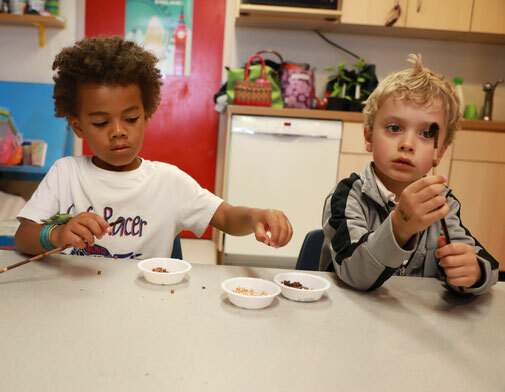 Aftercare at Le Camp d’Été is optional and a continuation of the regular camp day with bilingual activities such as arts, athletics and science. On Fridays, Le Camp d’Été will feature a special performance for the all mini and junior campers and their parents.